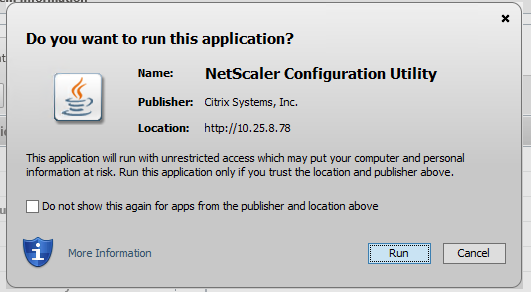 Ryan Betts, Cloud Solutions Architect: Citrix NetScaler 10.1 MPX, throws the following error when you try to run certain operations from the Web GUI "Cannot load Applet, Java Applet could not be loaded Details Possible reasons: JRE(Java Runtime Environment) not installed. JRE is installed but not running." Citrix NetScaler 10.1 MPX, throws the following error when you try to run certain operations from the Web GUI "Cannot load Applet, Java Applet could not be loaded Details Possible reasons: JRE(Java Runtime Environment) not installed. JRE is installed but not running." Disclaimer: Many people have blogged about this issue with NetScaler and Java Runtime, the reason I have done it again is because although there are blogs documenting similar fixes, none of these fixes resolved the problem for me alone. Therefore I have consolidated a single post, documenting all of the steps it took me to fix the problem in my environment. I have referenced the articles I used below to give the original contributors the credit. Citrix NetScaler, throws the following error when you try to run certain operations from the Web GUI "Cannot load Applet, Java Applet could not be loaded Details Possible reasons: JRE(Java Runtime Environment) not installed. JRE is installed but not running." I came across the issue trying to upgrade the firmware and enabling HA on two physical appliances. 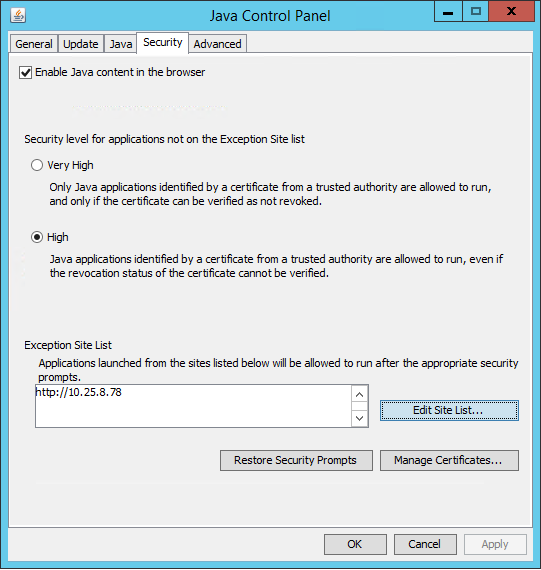 In this environment I have the latest Java Runtime installed (April 2015) which is version 8 update 45. 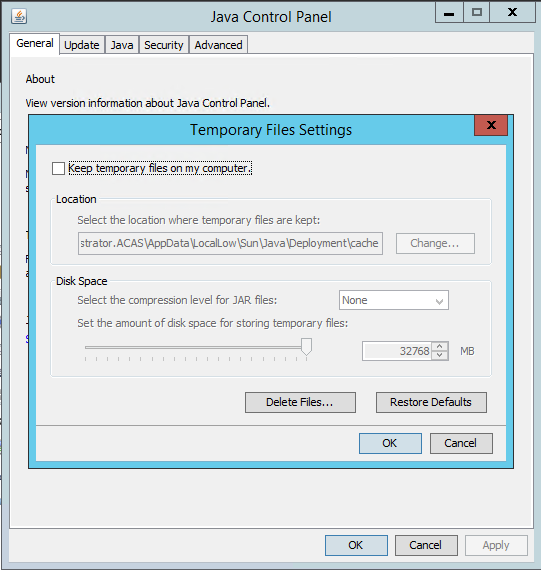 Open Control Panel, and then open the Java control panel. Click on the General Tab, and ensure the Keep Temporary Files on my Computer is disabled. 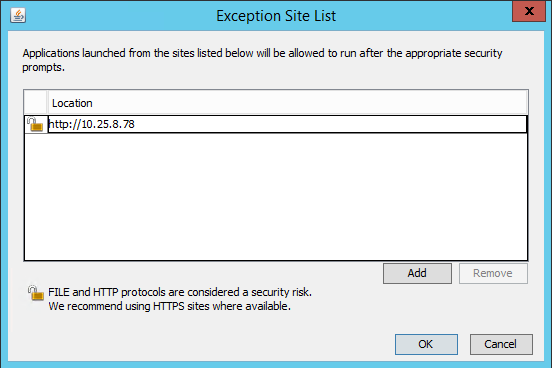 Then click Security and then Edit Site List..., and put an entry in for your problem NetScaler device here. Click on the Advanced tab, and set Mixed Code (sandboxed vs. trusted) security verification to Disable verification (not recommended) and Perform signed code certificate revocation checks on and Do not check (not recommneded).